After some months through hitchhiking Argentina and Chile, exploring a lot of deserty areas, i perceived Bolivia as a green oase. The country has many different sights. 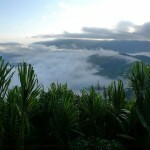 Jungle, sparse highlands, beautiful mountain passes and fruitful farm land. All in all Bolivia is my favourite country in South America. Because of the people, the landscape and of course the hitchhiking, which turned out to be a blast, allthough i got warned in the beginning, how bad it would be. My Bolivia Log you can download here. 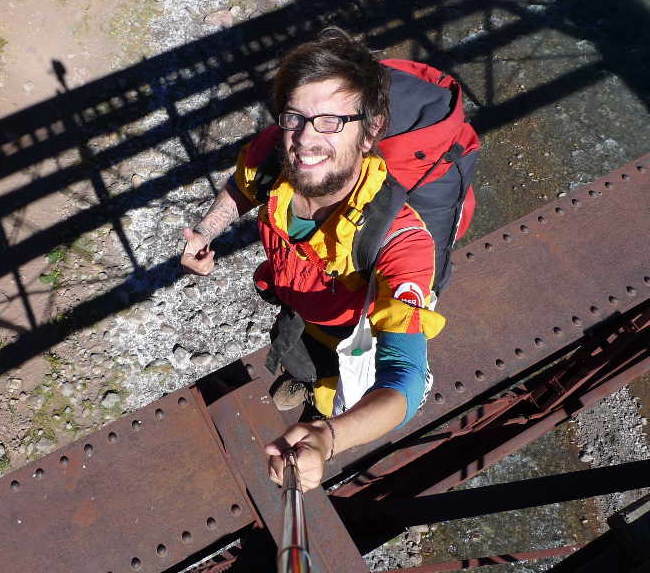 I entered Bolivia after a desert tour through the Atacama and hitchhiked from Uyuni to Sucre. My next tour led right into the stunning highlands from Sucre to Oruro (regarding to google maps it is 8,5 hours for 350km. For a reason which i had found out soon by myself). From Oruro i went through Quime into the northern Yungas area towards Coroico, from where i hitchhiked the infamous Death Road and endet up going through La Paz to Peru. 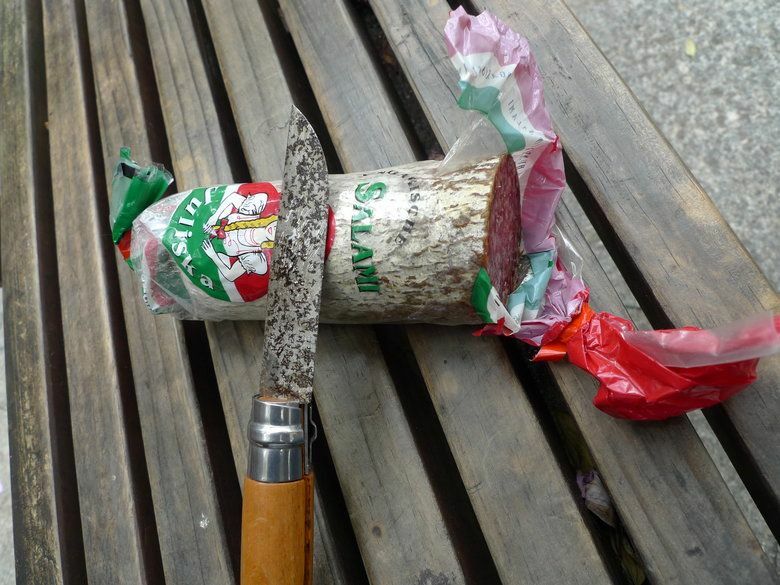 In advance a lot of things about Bolivians where reported to me. That they are a very closed nation, they would hate Gringos and hitchhiking is almost impossible there. My experience was totally differen. I met so many awesome people during my hitchhiki ng trips. 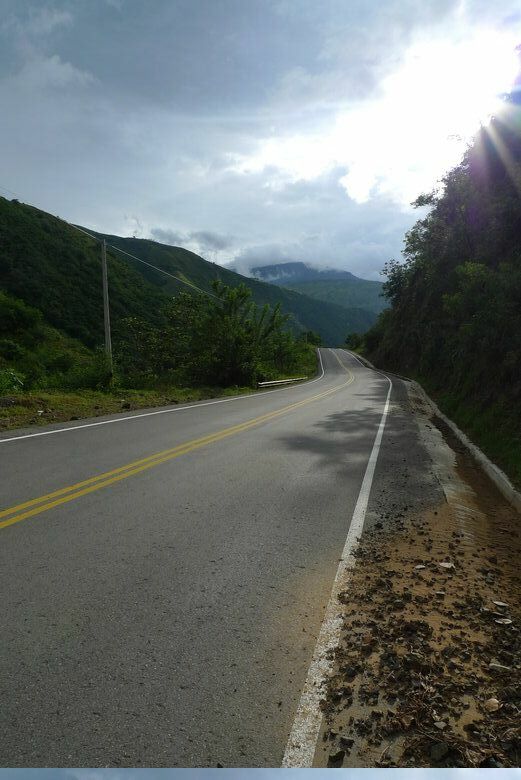 My first tour to Sucre was one of the most relaxing hitchhiking ever in my life. Only friendly people in the car. No evidence for the distance, i was told before. 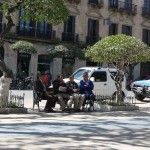 In general i perceived the Bolivianos as pretty humble and reserved, but definitely not unfriendly or adverse. Except in Coroico, but this is a touri moloch and tourism makes people turn into bloodsuckers. Unfortunately. But that is everywhere. With a smile and an open mind you usually can make contacts pretty easy. Even if the Bolivianos seem a bit grumpy and not interested in the first moment, behind the surface there are very friendly people hidden. I felt really comftable in Bolivia, allthough i almost got robbed once. 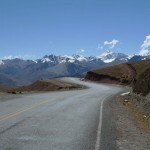 The mainroads are in excellent condition and it is a real pleassure to hitchhike through the bolivian mountain area. Easy going. Not too much and not too less traffic. 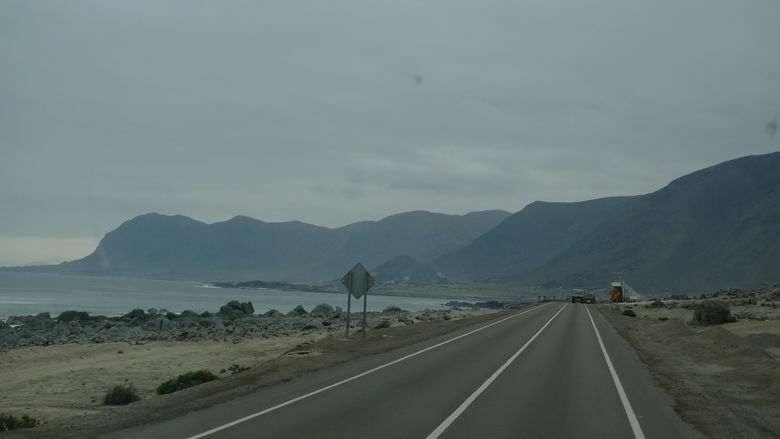 The highway towards La Paz is fast and uncomplicated. If you stay on the main roads, you should have an easy life. Keeping areas are sometimes a bit hard to find, but the traffic is so relaxed, that it is not problem to just stop in the street. The highway has a typical emergency lane. If you go on the same adventure like i did and enter the small, abandoned roads through the inner part of the country, you should be ready for a slow and exhausting drive. 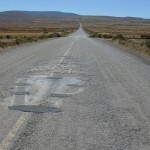 The roads are partly paved and partly you will meet really bad mudroads. Similar to the Transamazonica, but in small, slower and on 4000m height. It is definitely worth! A hell of a fun,, believe me! The absolute highlight, which you shouldn´t miss at all costs was the Yungas. 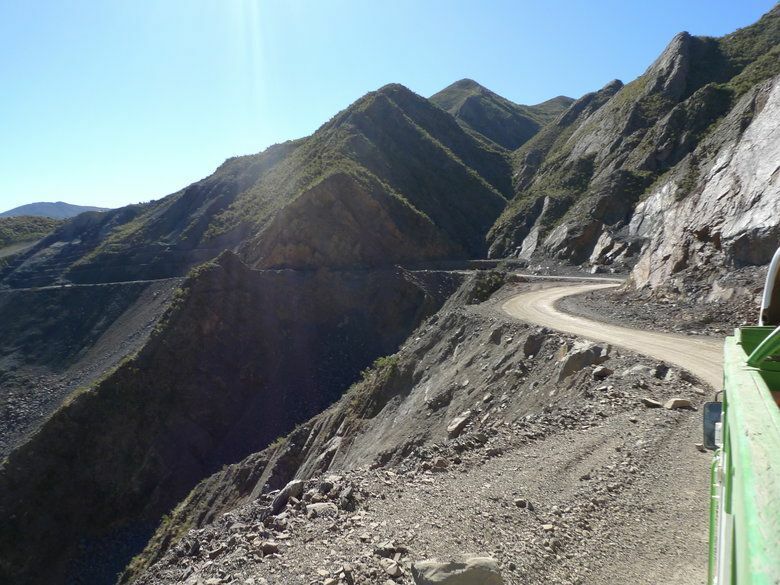 Long mountain passes, that follow the scarp slopes along the Yungas Valley. Amazing views, deep gorges and a lot of dust. Nothing relaxing like a beach holiday, but one of the most beautiful areas in every hitchhiked through. Hitchhiking in Bolivia contains one difficulty, which you should recognize and that are Taxis (which aren´t yellow and neither have a sign), Buses as well as ride-shares. You need to develope a sense about, which cars are paid traffic and which are private. Private cars are our target group. Most of the time it is possible to determine this through the type of car (Taxis often are a certain kind of car) or with the amount and type of passengers. I would definitely recommend you to be selective while hitchhiking. But i should say also, that i was hitchhiking literally EVERYTHING that passed by in the end Many Taxis, f.e. will pick you up anyway, if you explain them, that you won´t pay for ransport but need a lift. Beside that i successfully used my „Walking-Technique“, which i practised in Brazil already. I think in the end i didn´t waited at all and was either walking or sitting in a car. Always on the move. 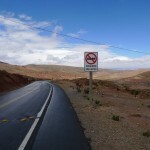 The Bolivians have a great sense for pedestrians and are very helpful, if they spot you in the middle of nowhere. Worked superb! In rural areas you can get rides with motorcycles but in the country-side just everything stops. Start walking, smile and look forward to your next ride. Not difficult at all in Bolivia. By the way: Just once i got asked for money. 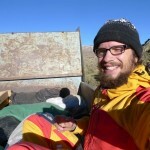 It might be common in Bolivia, but the locals don´t hitchhike very much, like in Peru. If you enter through Quime into the Yungas area you follow a 60km long descent through endless serpentines and covering almost 3000m altitude difference. What a route. 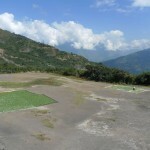 In Quime you reach the gateway towards the Yungas. Don´t miss this area! Sucre is the capital for learning Spanish in South America, because here was the former domicile of the colonial goverment and, thats what they say, in Sucre they speak the clearest Spanish in whole South America. Many backpackers come here to learn the language. The private lessons are about 5$-7$ which is unbeatable cheap. Tip: Book yourself a teacher through the official language schools for a couple of days and make an agreement with him, to continue the lessons outside of the language school. Most of the time the teachers inly get a small amount of the overall sum and in taking inofficial lessons, everyone profits more. I hitchhike on the infamous Death Road, which also can be mastered with a downhill bike. For sure alot of fun. In general it is a very beautiful and a bit less dangerous road, than the name would expect. 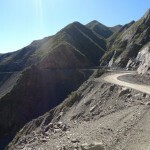 All roads in the Yungas are dangerous and the people know it. Indeed I think the city traffic in lima is more dangerous than the rural roads in Bolivia. There was no other country where i hitchhiked with so many different vehicle types, than in Bolivia. Especially Trucks, who always have aplace for you on the loading area. But also alot of Pick-Ups, motocycles, digger, emergency cars…..beautiful. A paradise. 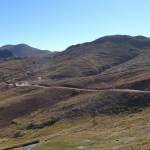 I had in Bolivia a series of rides, where five times in a row the first passing vehicle (!) stopped and picked me up. New record! In no other country it worked that well!